Twitter is the greatest source of traffic. The best thing about twitter is that the people are using it on a vast range. It doesn’t matter what your preference is, you will be able to find people quickly who are interested to your niche. This allows you to find your target audience quickly. If you want to use your Twitter Account as a marketing strategy or want to promote your business, you will need to use it in a productive way. Blog is the thing that expresses what your website is about and provides information and news about your niche. Followers love information that particular about their industry and it is an amazing feeling when someone re-tweet and spread out tweet of your new blog post. Use your blog and twitter together, display twitter button and social sharing icons on your blog’s homepage as well as on every post. This twitter button directly links to your account and people can easily follow you through this button. You need to introduce yourself and make sure that you promote your blog as well on twitter. If you can do this professionally, you will be able to build a strong brand identity and in future that will be very helpful. 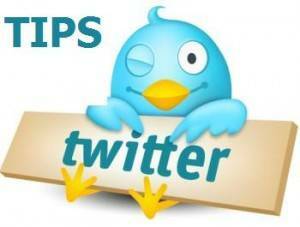 Twitter is a social website and there is huge community of your niche is to be reached out, so follow them. Share quality content, information, ideas and chat with them to create relationships on a personal level. The most important thing that can bring more traffic to your website is, respond quickly on your twitter followers’ tweets, questions and give them valuable suggestions. Community conversation is an important part of twitter, so don’t be shy, jump into conversations, ask questions, contribute in discussions or just start a new talk. And this will be very helpful to create a strong network with the people of your niche. Just be honest about who you are and what you are talking about. If you share something that you really like, tell your followers about it. Same as, if you find something that you don’t like, and then also tell them about it. You can use different tool to manage your tweets and multiple twitter accounts, but HootSuite and Tweepi are commonly used to target desired audience each day. HootSuite scheduled your messages and ensures your messages never get missed. Furthermore, you can schedule up to 50 unique messages at a time. On the other hand, Tweepi is a very useful tool to list the targeted people. With this tool, you can easily access the people who already interested in your niche.